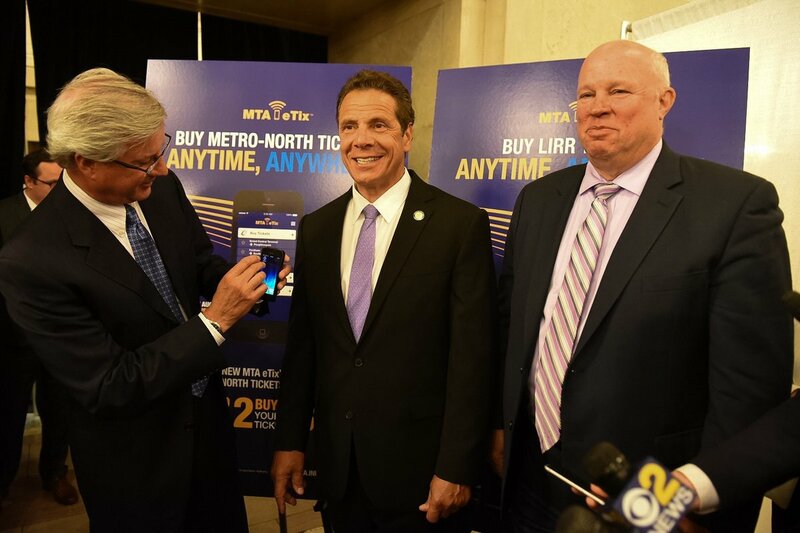 We are very excited to announce that yesterday New York Governor Andrew M. Cuomo confirmed the launch and accelerated rollout of MTA eTix, a free MTA app that will allow Long Island Rail Road and Metro-North Railroad customers to purchase train tickets anytime, anywhere with their mobile devices. The news was covered extensively in the media including the Wall Street Journal, Engadget, The Verge and New York Post. Passengers on MNR’s Hudson Line and LIRR’s Port Washington Lines are able to use their smartphones to buy and display tickets to travel using the MTA eTix mobile ticketing app. The app, which was scheduled for completion by the end of 2016, will be available to all riders of both railroads by the end of this summer. 1. Buy a ticket by entering information about origin and destination, and selecting the type of ticket (one-way, 10-trip, weekly or monthly). The ticket is then saved in an electronic “ticket wallet” feature in the app. 2. Prior to boarding the train, pull up the ticket from the ticket wallet and activate the ticket by tapping on the “activate ticket” button. 3. When a conductor comes through the train to ask for tickets, have the activated ticket displayed, and simply show the smartphone screen to the conductor. Conductors will visually validate the mobile ticket by looking at the screen. As the rollout proceeds, conductors will use a handheld device to scan mobile tickets. • Week August 22: Full system wide implementation of MTA eTix, as the app becomes available on the rest of LIRR and Metro-North’s New Haven Line. 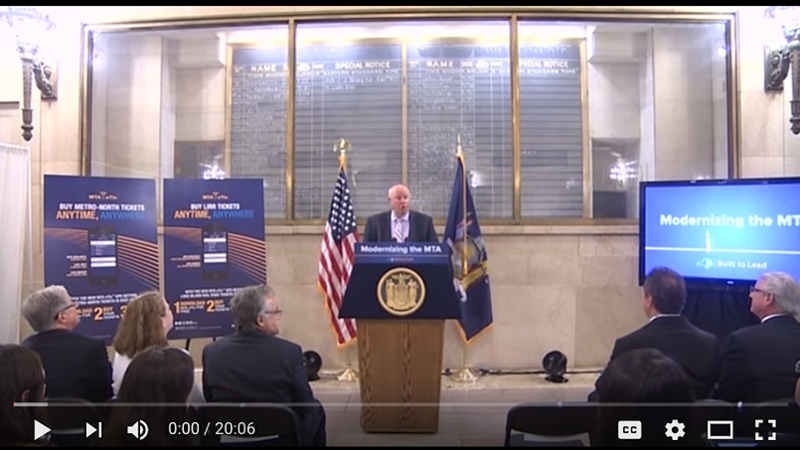 The MTA eTix launch follows a successful field test, during which 150 customers who ride the Long Island Rail Road Port Washington Branch or Metro-North’s Hudson Line tested the app. Both conductors and participating customers monitored the app’s performance, and reported any problems they encountered to the app development team. Survey results indicate widespread satisfaction with the app, with 92-percent of pilot participants indicating that they were very satisfied or somewhat satisfied with the app and 94 percent stating that they were very likely or somewhat likely to use the app once it is rolled out. Next year, the MTA expects to make the MTA eTix app even more user-friendly by allowing LIRR and Metro-North customers who transfer to or from the New York City Subway or New York City Buses to pay their fares using a single app and a single transit account. Masabi is proud to be the MTA's partner on this app. If you would like to learn more about how Masabi’s JustRide platform can help you save costs and increase customer satisfaction then please get in contact with us or schedule a demo.